What an incredible year it has been for the John Gosden filly Enable. After five straight Group 1 victories in 2017, trumping that was always going to be a task but trumping that is exactly what she did AND MORE in 2018. Despite been ruled out for most of the season through injury, she silenced the doubters with three straight Group victories which now sees her go down in the history books as one of the greatest fillies to have ever graced a racecourse. We've taken a look back at each of her three runs in what can only be labelled as an incredible 2018 for her. After a knee injury saw her seasonal reappearance put back to early September, much was made of Enables return. Was she fit? Was she going to be as quick as she was in 2017? Have her rivals caught up with her? Plenty of questions that needed answering and she answered them in style. Making her first appearance on the all weather since her debut victory at Newcastle in 2016, she came up against a potential Arc rival in the form of Sir Michael Stoutes Crystal Ocean. After running rather smoothly with her rival at the front, she kicked on two furlongs out and showed her trademark turn of foot to cruise to a three length victory which ultimately saw her stake her claim as favourite for the Arc which was just a month away. 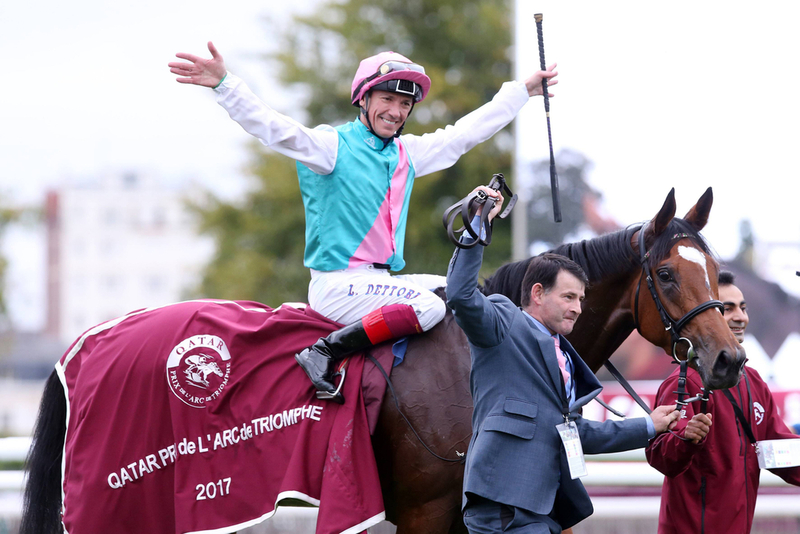 Now for the big one, the Prix De L'Arc De Triomphe back at Longchamp for the first time in three years and the race which Enable rose to prominence in by winning in 2017. Now looking to become just the eighth horse to win the race twice, she was backed into odds on favourite with only the Yorkshire and Irish Oaks winner Sea Of Class seemingly posing a major threat. And as per usual, the bookies got it spot on. After been held up just off the pace for most of the race, Frankie kicked for home on her just after the two furlong marker and despite the late challenge of Sea Of Class, she just managed to stay on to claim victory and once again make racing history. With potential retirement looming and plenty of options on the table for the filly, connections decided they'd try to conquer America with an entry into the Breeders Cup Turf at Churchill Downs. Many people once again questioned the decision to take her across the pond but as per usual, she answered those questions in a near faultless display. Held up in her favourite position of just off the back of the front pack in fifth, she made her move on the final bend and despite been forced wide into the middle of the racetrack, she had a toe to toe, or hoof to hoof we should say, battle with the AP O'Brien trained Magical on the final straight but as per usual with her battles, there was only one winner as she scooped the $2.5m jackpot to become the first horse EVER to win the Arc and Breeders Cup Turf in the same year. Some feat we must say. The question on everyone's lips is will we see Enable run as a five-year-old and the answer to that is no, most probably not. 10 victories from 11 career runs including SIX Group 1 victories and a win in the Breeders Cup, Khalid Abdullah is more than likely to finally cash in properly on his filly and retire her. Even if she does retire, there is plenty to look forward to with her with the likelihood that she will be sent to stud with one of Abdullahs more famous colts, that little speedster that is Frankel. We can only dream of the potential that their offspring will have but no doubt, it will be spectacle.